To inspire all girls to be strong, smart, and bold. Our vision is for all girls growing up in Alameda County to feel valued, safe, and prepared to achieve their dreams of college, career, and leadership. 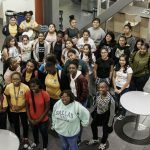 To that end, we connect girls from underserved neighborhoods with access to the resources and opportunities they need to navigate gender, economic, and racial barriers, and realize their potential. Despite the prosperous tech-fueled economy and rising wealth in the San Francisco Bay Area, the girls we serve often lack access to the resources and opportunities critical to their future success. 4 in 5 Oakland third graders from low-income households cannot read at grade level, a critical predictor of future success. 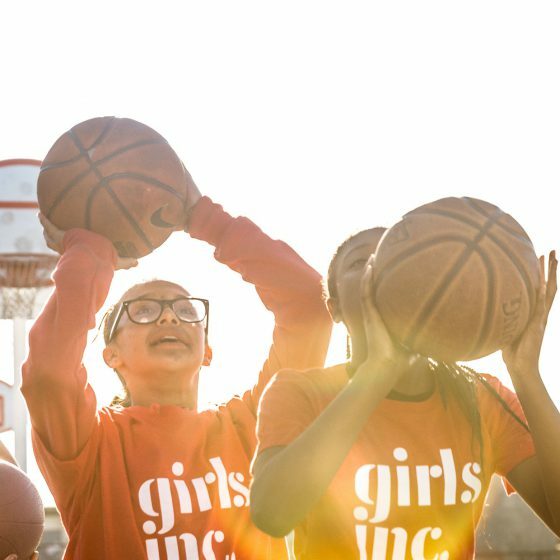 By 5th grade, girls are half as active as boys in physical activities, leading to increased risk of obesity, diabetes, and heart disease. Despite equal interest in elementary school, by eighth grade girls are half as interested as boys in STEM careers, limiting their access to rewarding opportunities in tech. 1 in 3 girls in Oakland will not graduate high school, leaving many dreams of college and career unrealized. The overwhelming majority of our girls identify as girls of color, with 39% identifying as Latina and 30% African American. 40% speak a language other than English at home, and 90% are eligible for free and reduced-price lunch. The unique challenges girls face today can be extremely difficult to navigate and overcome. Unfortunately, most co-ed programming is designed using boys as the norm, meaning girls’ specific needs often go unmet in settings that are not designed expressly for them. A recent assessment conducted in the Oakland Unified School District found that girls are yearning for more girl-specific opportunities and support. In response to these needs, Girls Inc. provides research-based programming to empower girls at every stage of their development. We focus on the whole girl: her health and well-being, education, and development as a leader. Our girls inspire us. Whether they’re discovering a new book or designing a solar-powered phone charger, learning martial arts or promoting changes in their community, they are full of energy, resilience, and promise. They resist stereotypes, embrace a positive self-image, and inspire their peers to do the same. They rise to challenges, and they dream big. Our girls will not only succeed, they will change the world. At Girls Inc., we are committed to recognizing girls’ power and potential. We have developed “The Girls Inc. Experience” to support their success. A pro-girl environment that is physically, socially and emotionally safe. Trusting relationships with trained adult staff and volunteers. Holistic programs focused on girls’ needs provide access and exposure to new opportunities while expanding their mindsets. Relevant, field-tested curricula that builds girls’ knowledge and skills. Girl-centered, motivating, and engaging projects. Continuous programming and personal connections to increase positive outcomes. Girls Incorporated of Alameda County (Girls Inc.) was founded in 1958 as the first Girls Club in Northern California. 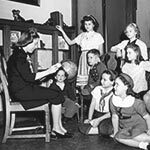 We became an affiliate of the national Girls Clubs of America in 1960 and opened our first office serving 20 girls after school in a small house in San Leandro. In 1973, Girls Inc. established a model focused on career development, recreation, education, and counseling. In 1976, we received a National Juvenile Justice Program award as the first Girls Club to work with girls in the juvenile justice system. Then, in 1978, we opened our Pathways Counseling Center to provide mental health services for youth and families, and added programs to treat child victims of sexual abuse and prevent teenage pregnancy. 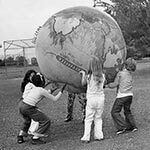 Girls Inc. received a major boost in the early 1980s when we joined forces with other girls’ organizations to successfully lobby the local United Way to increase its funding for girls. In 1994, we expanded into Oakland and changed our name to Girls Incorporated of Alameda County to better reflect the community we serve. In 1997, Girls Inc. recognized the need for a continuum of programs to meet girls’ needs as they grew. In 1998, we adopted our current mission: “To inspire all girls to be strong, smart, and bold.” Pathways began delivering services in schools in 1999, and that same year we developed GIRLStart, our acclaimed literacy program for early elementary girls. In 2005, we partnered with SRI International to develop the Build IT curriculum to empower middle school girls to explore technology and design. Both GIRLStart and Build IT are among our programs that have been replicated across the nation. In 2010, Girls Inc. was honored by the Clinton Global Initiative as one of the “Commitments to Empower Girls and Women.” After a successful three-year capital campaign that raised $11.4 million, we opened the new Girls Inc. Simpson Center for Girls in 2013 and moved our headquarters to downtown Oakland. Today, we provide a continuum of life-changing programs and counseling services in our Simpson Center for Girls and across more than 20 schools and satellite centers throughout Alameda County. We continue to believe in the power of girls.